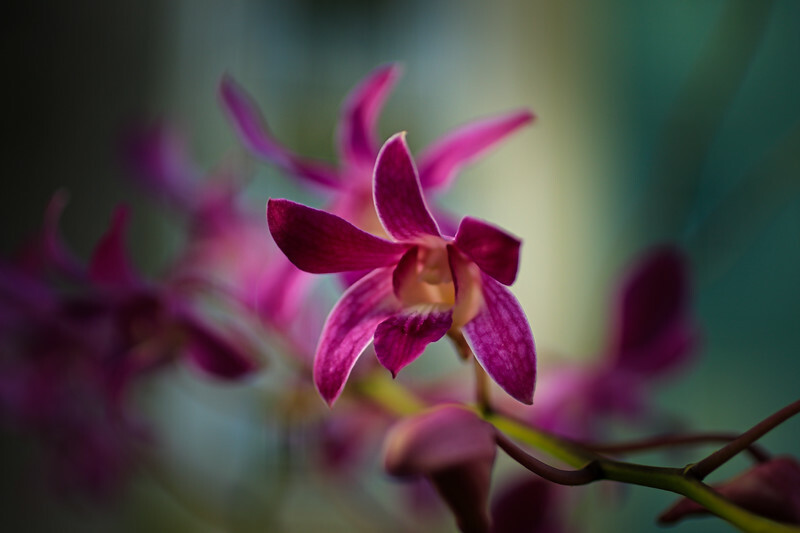 Lovely soft focus orchid image ! Wonderful tonality and colours ! Stunning orchid! I can't imagine seeing them in the natural setting - I have only had the pleasure of seeing them in controlled conditions. This is beautiful. You nailed this one! Very pretty! Orchids are among my favorite flowers. I posted late today; somehow, I forgot to do so this morning prior to leaving for work! The focus on one flower and the soft focus on the rest is very effective.